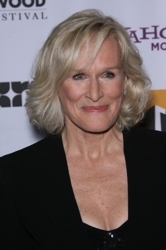 Damages star Glenn Close looked stellar at the 15th Annual Hollywood Film Awards Gala on October 24th. Her platinum blonde hair was infused with silky shimmer and fell seamlessly into a fat bottom bob which is the hottest textured hairstyle of the moment. Subtle highlights and low lights were interwoven throughout the beautiful platinum hued base. Glenn’s hairstyle qualifies as a fat bottomed bob because of the loose texture which billows out from below her ears on either side. The ends of her hair fall just below her chin. The combination of silky shiny tresses with soft side-swept fringe create a picture perfect Red Carpet hairstyle which balances her face, cheekbones and chin. The fringe falls in individual strands at a diagonal slant. 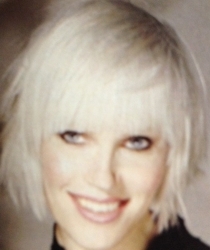 The fringe cascades from a side part directed towards one side of her face. 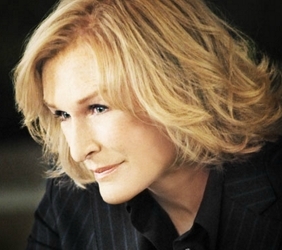 Glenn’s off-camera long textured bob is a little more polished than her hairstyle as powerhouse attorney Patty Hewes on DirecTv’s Damages. To copy Glenn’s fat bottomed bob start with a precision cut chin-length bob. This hairstyle works especially well for hair which has natural texture such as waves or soft curls. Step 4 – On towel-blotted hair, apply styling cocktail including a leave-in conditioner, defrisant and a volume enhancing spray or mousse. You may also wish to apply Phyto Volume Actif lift to the roots. Finish with a small amount of heat protective spray or serum. 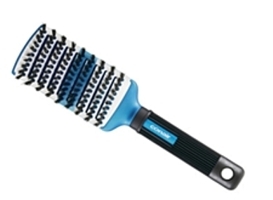 Step 5 – Rough blow-dry hair using a 100% boar bristle paddle brush and a blow dryer. Direct all hair forward. Step 6 – After hair is 100% dry, separate hair into 2″ sections. Flat iron entire head section by section. For additional smoothing, direct all hair forward while ironing. Step 7 – Once entire head has been flat ironed allow strands to completely cool and set. Step 8 – Apply a drop of shine serum to the palms of your hand and finger pick through strands from 1″ from the roots down to the ends. 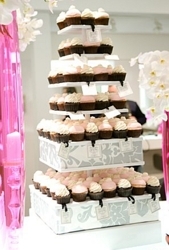 This entry was posted on Tuesday, October 25th, 2011 at 10:50 pm	and is filed under Hair. You can follow any responses to this entry through the RSS 2.0 feed. Both comments and pings are currently closed.